There is a lot of controversy in the cold laser market about class 4 lasers and their performance when compared to lower power cold lasers. 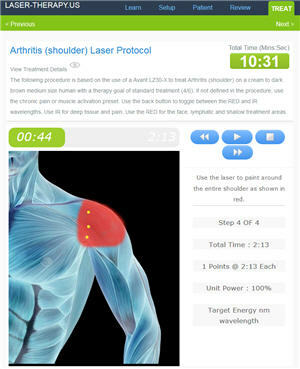 Many class 4 lasers are not technically "cold" since they can warm the treatment area once above about 4 watts but there is really no census about what is the best name for lasers used for photobiomodulation but they all serve the same goal so we will call them both cold lasers and class 4 lasers on this site. One issue manufacturers debate the most about is about how much power works best for photobiomodulation. Class 4 manufacturers would say more power means faster treatment times and higher dosages that make it is worth the extra cost. 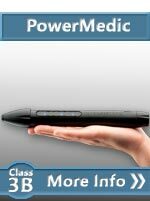 Class 3 manufacturers, on the other hand, say lower power promotes better healing with no risk of burning anyone. So who is right? This article will try to clear the air. Manufacturesr tend to highlights their products' advantages and bash everyone else's lasers. All the lasers on the market can provide good results (even some of the lower power systems) but they all try hard to make their laser stand out in the crowd. Truthfully, there is some truth to all the claims, however, they are typically taken out of context so should not effect your decision about what product to buy. Below is a table that shows some common claims and some of the underlying facts behind the claim. Always keep in mind that almost every class 4 laser has the option to turn down the power when it is appropriate so you have more flexibility with a higher power pulsing/CW class 4 laser. 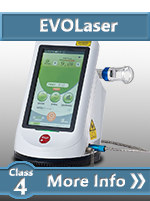 The main brands of class 4 therapy lasers are Apollo, Aspen, K-laser, Nexus, Lumix, LiteCure, and Pilot. All of these brands have a great reputation. We sell Apollo, Aspen, Nexus, Lumix and Pilot. There is a big difference between class 3 and Class 4 products. Yes. Once you get above 5 watts, the laser diodes are installed in a cooled housing and you use a fiber optic cable to transfer the power to the handheld probe. This adds a lot of complexity to the system. No, the cutoff for a class 4 laser is 0.5 (1/2) watts per beam. This means that, for example, the Avant LZ30 with 2 beams at .450 watts per beam is more powerful than some Class 4 lasers but is a class 3b. The Apollo is Class 4 but uses probes that are extremely similar to the Class 3b probes used by Thor. It is just a matter of picking individual laser diodes above or below .5 watt output. The line between class 3 and class 4 lasers is very blurry. Class 4 lasers are not appropriate for home use. False, however most class 4 systems do require extra training to make sure the user is safe. Many home users start out getting therapy in a doctor's office but want the convenience of therapy at home. In this case, users can simply adapt the protocol that is already working for use at home to save time and money. 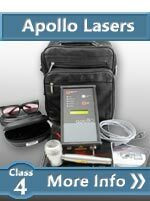 Systems like the Apollo cold laser use a divergent beam and a timer as the only variable so less training is required. 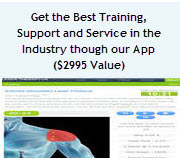 For pain control, class 4 power lasers, with higher power and continuous wave, are the best. Too much power is not as effective for healing. This statement has NOT be proven by an independent study; it has only been shown by studies paid for by lower power laser manufacturers who use the study to discredit class 4 systems. 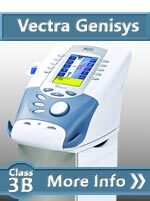 Higher dosages are better for pain control but higher-end Class 4 laser have adjustable power so when you want less power, you simply turn it down. When you need more power for better pain control, you turn it up. Class 4 lasers are not worth the money. False. 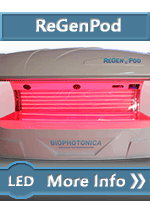 Using a class 4 laser for less than 20 minutes per day, you probably don't need to spend the extra money. That being said, for many people, higher dosages and shorter treatment times are a key to great results. If you are not concerned about therapy times, flexibility or giving your patients the maximum pain relief, then a lower power product is fine. 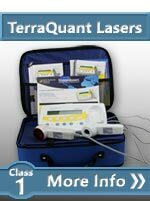 Class 4 lasers are for doctors and home users who want to have every option available without limitations for any condition. 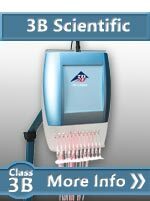 State-of-the-art class 4 lasers can be purchased for less than $12,000, however mediocre class 3b laser for over $15,000. You get what you pay for with most class 4 systems. 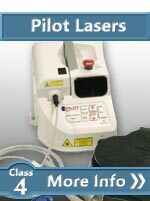 Class 4 lasers are better for pain control. Class 4 lasers have shorter therapy times. Class 4 lasers are better for treating larger areas. Yes to all of these claims. Higher power lasers provide better pain control in a shorter period and can cover large areas much faster than a lower power lasers. The key here is not necessarly the class but the total power output of the system. Higher power allows for more flexibility. Everyone in the market seems to agree that more power is better for pain control, better for larger areas and will shorten the time it takes to get the optimum healing or pain control density. Class 4 laser are dangerous. Yes. In the wrong hands, a class 4 cold laser can cause damage just like a scalpel, a bad drug prescription or any of the other tool doctors use every day. This is not a good reason to not have the tool. 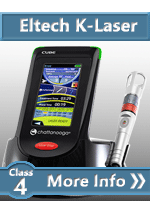 With proper training and adhearing to safety precautions, class 4 lasers are safe. All the other products on the market are inferior to (insert product name here). 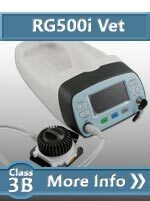 Though some manufactures may claim they are superior, there is not one solution that is the best for all applications. Every manufacturer has a unique value proposition. It is our job to help you find the most appropriate system for your application. So, what conclusions can we make about class 4 lasers? The line between a class 4 and class 3 is gray. 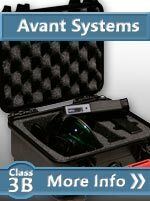 The Avant and Thor class 3b systems have similar specs and performance to the lower end of class 4 lasers at a lower cost. 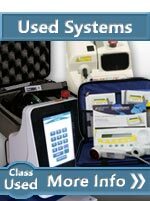 Because the Apollo is not a fiber optic design, it cost about half as much lower as a fiber optic class 4 system. Class 4 cold lasers may be the ultimate cold laser for some applications but that really depends more on the application.